If you’re thinking of heading to Spain for a holiday this summer, then why not head to Bilbao in the north and enjoy a luxury stay at Hotel Carlton, the newest member of Luxury Hotels Group? This is an extensive collection of five-star hotels across the globe, offering luxury facilities, world-class service and an outstanding accommodation experience. Hotel Carlton is undoubtedly the most luxurious hotel in the city of Bilbao, with six floors and 141 rooms, ranging from a standard room to the imperial suite, which is the largest hotel suite in the north of Spain. It also has an excellent range of facilities, including the spectacular Salón La Cristalera, the gym and steam room, the Restauranté Carlton – which serves stunning Basque cuisine – and the Bar El Grill, with its famous tapas and mouth-watering cocktails. 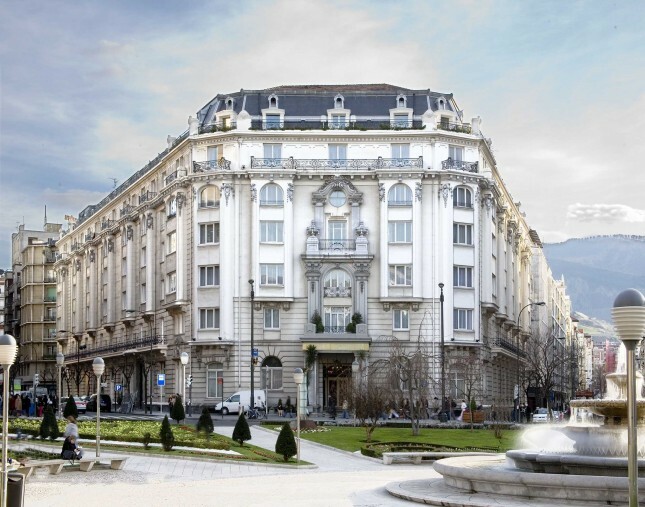 Located on Plaza de Federico Moyua square, Hotel Carlton is an impressive landmark in the city of Bilbao. It’s also perfectly placed for your holiday, sitting right next to Gran Vãa, the main street in the city, and less than a ten-minute walk from the famous Guggenheim Museum. The Guggenheim is well known not only for the art it holds, but for the building itself, which is considered an example of architectural brilliance. To really make the most of this attraction you’ll want to give yourself a full day to explore, as there’s so much to see. Even if you’re not an art lover, you should definitely go and see the building, which entices almost anyone to take a closer look. You can then head back to the comfort of your hotel and take advantage of the top-quality facilities to really top off your day.